Stuck trying to choose an engagement ring? Should you go for a minimalist, solitaire ring? Or would your other half be enchanted by the glitter and glamour of a multi-stone ring? We’re here to bring you a little inspiration from some of the most iconic wedding rings throughout history. American actress Grace Kelly originally received a different ring when Prince Ranier III of Monaco first proposed. However, this was soon exchanged for a more glitzy option, a 10.5-carat, emerald-cut diamond ring, with the central stone framed by two smaller baguette diamonds. To emulate Grace Kelly’s impeccably glamorous style, look to our Trilogy ring, featuring an emerald-cut diamond flanked by our triangular trillion diamonds. Surely one of the world’s most well-known engagement rings, the central 18-carat oval sapphire is the show-stopper of this iconic piece. Surrounded by a halo of smaller diamonds, this ring was then passed onto Kate Middleton when she agreed to marry Prince William and become Catherine, Duchess of Cambridge. If you believe your other half would be enchanted by the regal blue stone, our blue sapphire engagement ring could be the perfect fit. One of America’s most graceful leading ladies sported a truly unique ring after John F Kennedy proposed. It featured two central stones, a square-cut emerald and a diamond, cradled by a delicate framework of marquise-cut diamonds and a yellow gold band. For a truly statement ring, take inspiration from Jackie with our three stone diamond and peridot ring. For the boldly stylish Audrey Hepburn, a nonconventional engagement ring was the way to go. Her husband-to-be Mel Ferrer chose a set of three stackable rings that Audrey could wear according to her liking, one of which was rimmed with baguette diamonds. Our Georgia Baguette Diamond Wedding Band is an equally delicate and sparkling choice, perfect for a style-conscious fiancée. 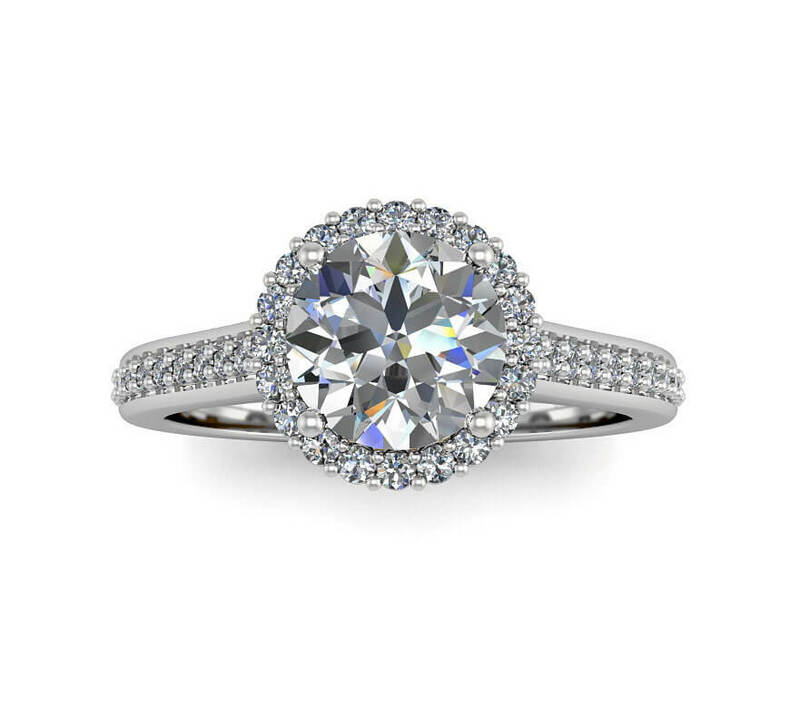 You can explore the rest of our collection of engagement rings online, or contact us today to talk about creating a custom-designed ring.